Have you ever noticed that Nickelodeon shows like Henry Danger, Sam & Cat and The Thundermans have really cool kids’ rooms? We chatted with interior designers to find out how you can re-create these colorful and quirky looks for your own tween’s and teen’s room. Ready to add a little star power to your kid’s room? Infuse their room with plenty of Nickelodeon-inspired details starting with the walls. Bold colors are a main theme in many TV rooms, such as in The Thundermans and Henry Danger. How can you infuse bold colors into the room — without causing sensory overload? “A great way to accomplish this, without having to wear sunglasses when you open the door, is to do a base color that is a few shades deeper and only use the brighter colors for fun accent areas,” says designer Johnna Guzman. She also says to not overlook the ceiling, as even adding glow-in-the-dark stars to the ceiling give it a 3-D dimension. “Kids are drawn to things that seem larger than life, she says. Another colorful option is using wallpaper to create cool colors and textures. Shannon Wollack and Brittany Zwickl of LIFE.STYLE. Interior Design Firm say oversized polka dots are trending for girl’s bedrooms. This bedroom from Land of Nod features interesting wallpaper and colorful details, making this a perfect Nickelodeon-inspired room. We love how the accent furniture on some of our favorite shows is functional, yet quirky and fun. For example, iCarly had several unique pieces from jellio.com including this ice cream bench. The show also featured this unique cupcake table. 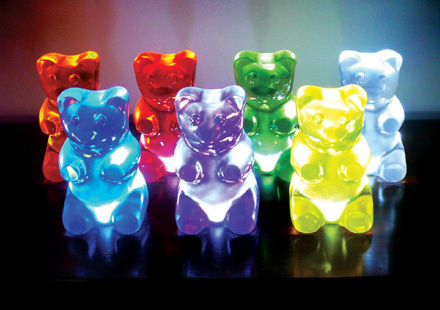 These colorful GummiLights added a fun touch as well. 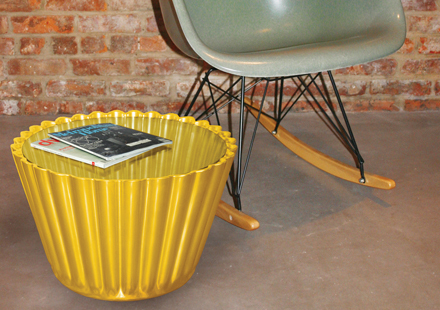 Think outside the box when looking for interesting items to decorate with. “We love using unique kids’ books and putting them on display,” says Wollack and Zwicki. “Adding interesting items such as piggy banks, a hip pair of shoes or cool toys mixed in with books on shelves is still kid-friendly and fun yet clean and pulled together,” they explain, saying that teepees (we love this one from Land of Nod) are a fun addition for both boys’ and girls’ rooms. They also love to mix in family heirlooms from a parent’s childhood in their child’s room. “It really adds a personal touch,” they say. Henry Danger is often filmed on his solar system bedspread, contemplating his superhero status. 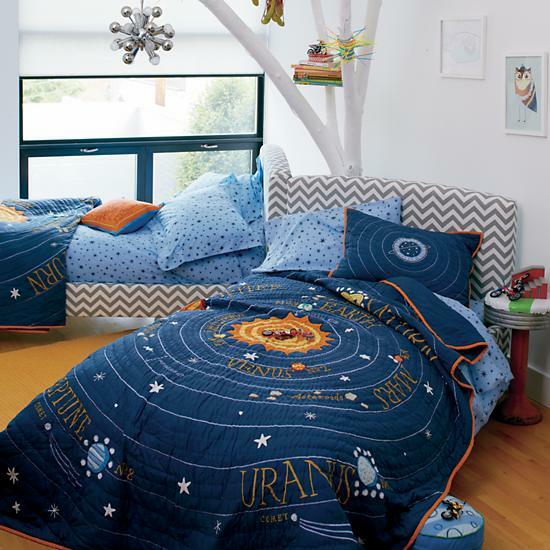 Your own little superhero will love this All Solar Systems Go Bedding from Land of Nod. While Cat keeps her bed full of stuffed animals and girly throws, Bella from the show Bella and the Bulldogs has a nice mix of girly pillows and football pillows on her bed. Lastly, don’t forget about fun and functional seating options. We love the hanging chair in Phoebe’s room in The Thundermans. 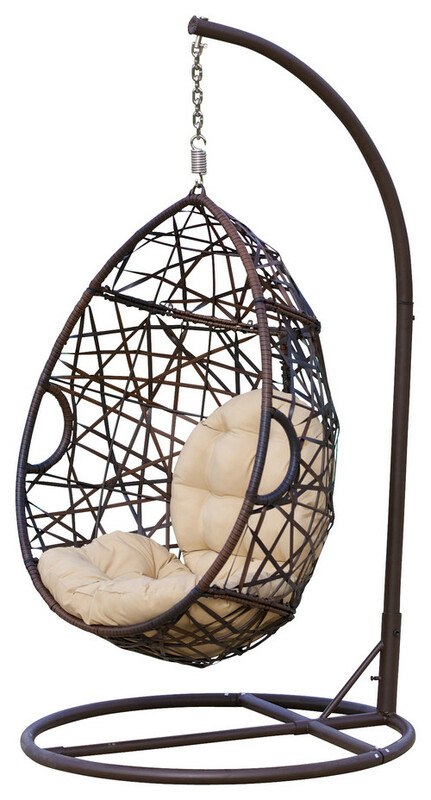 This Berkley Swinging Egg Chair is a nice option because you don’t have to mess with hanging it from the ceiling. Beanbags remain a favorite cushy spot for kids’ rooms. “Our favorite beanbags are from Restoration Hardware. They look great and are very comfy!” says Wollack and Zwicki.